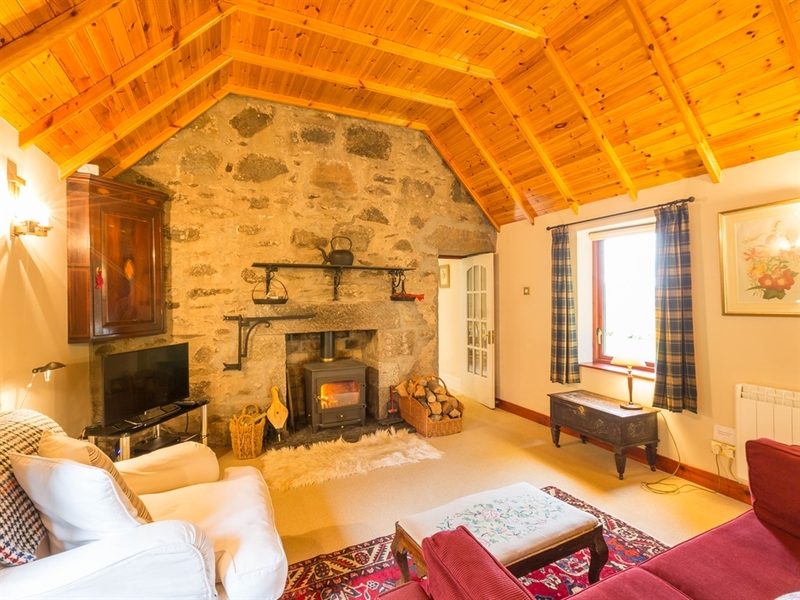 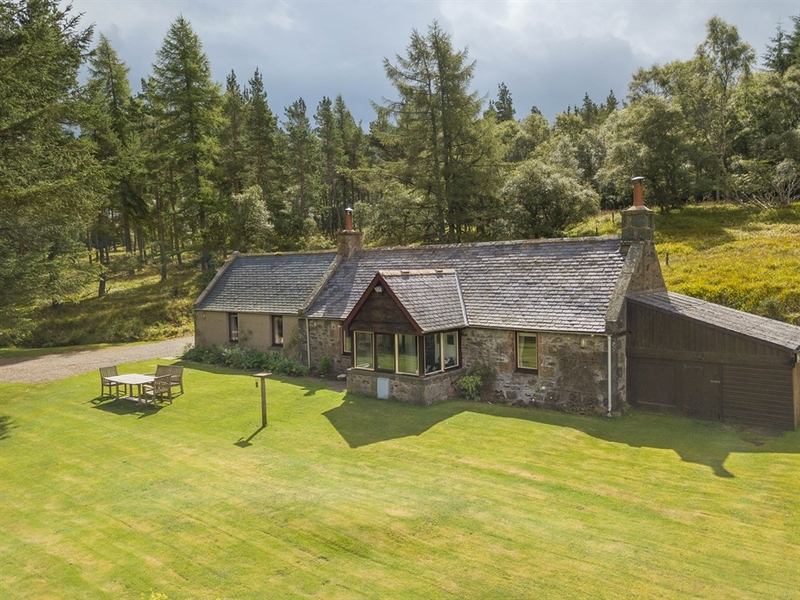 Mar Lodge is a charming and secluded cottage which is hidden away in the 300 acre Knockespoch Estate. 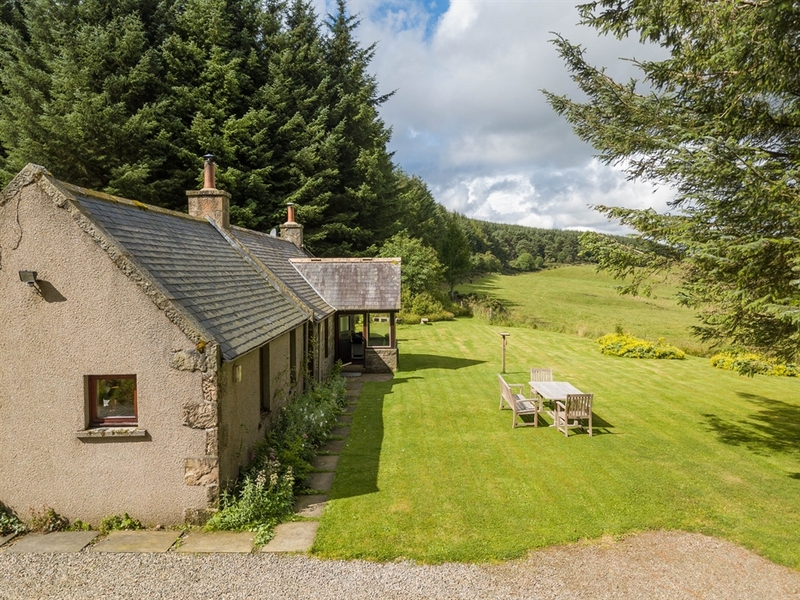 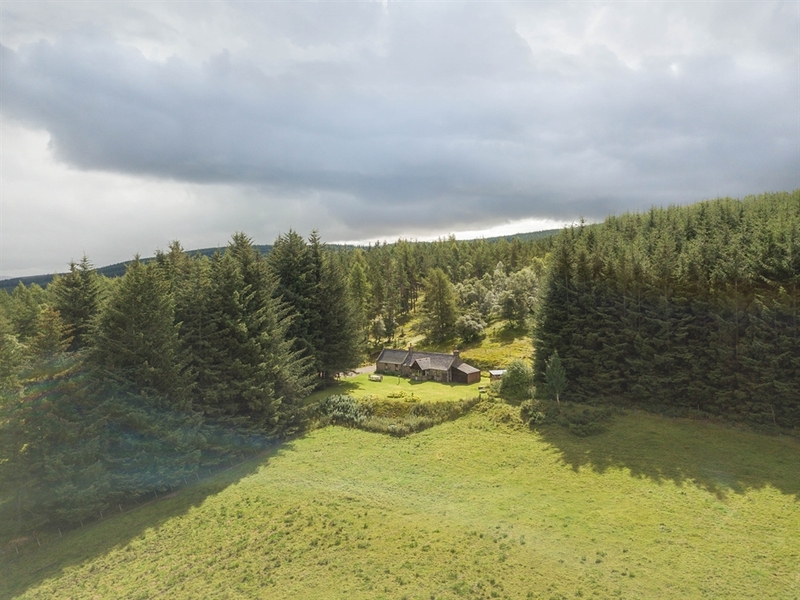 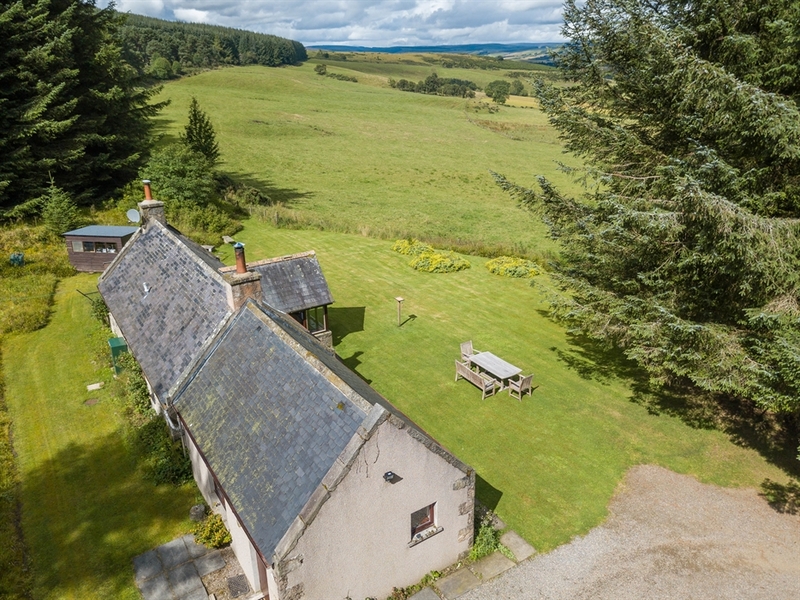 This property has an excellent view over the Aberdeenshire countryside. 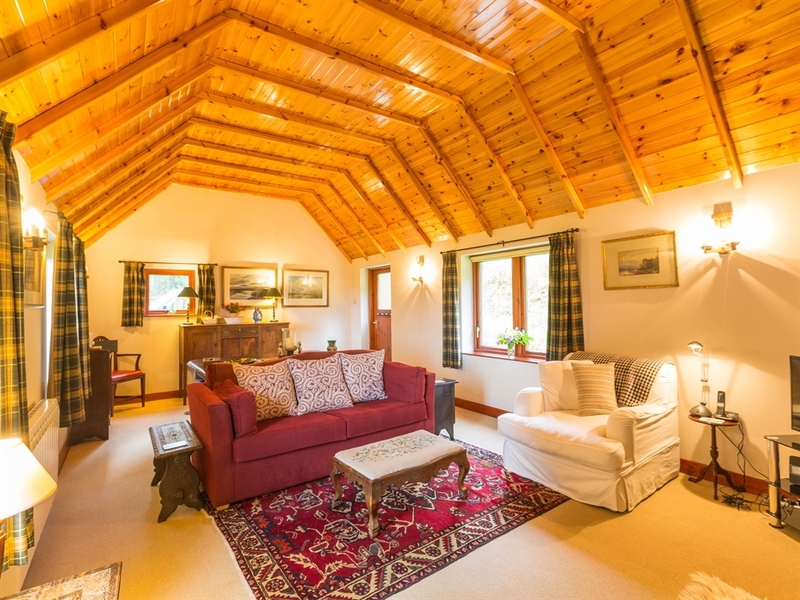 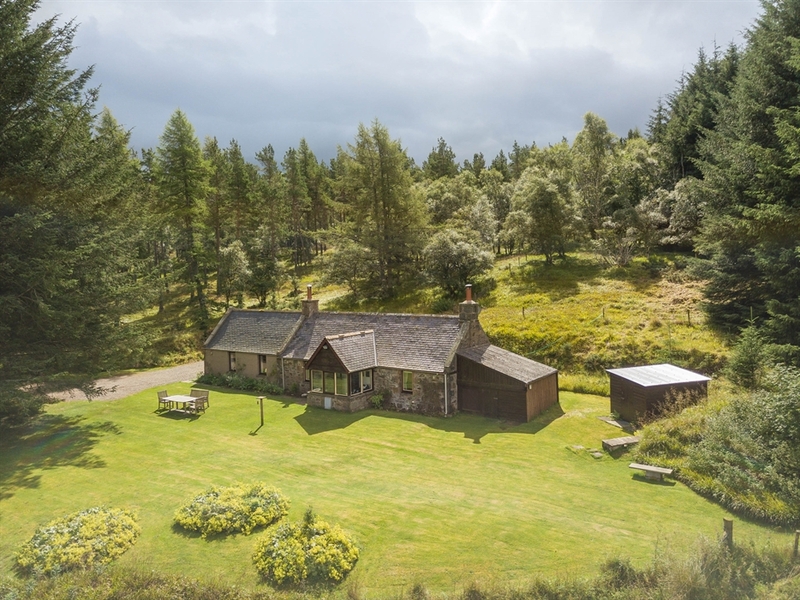 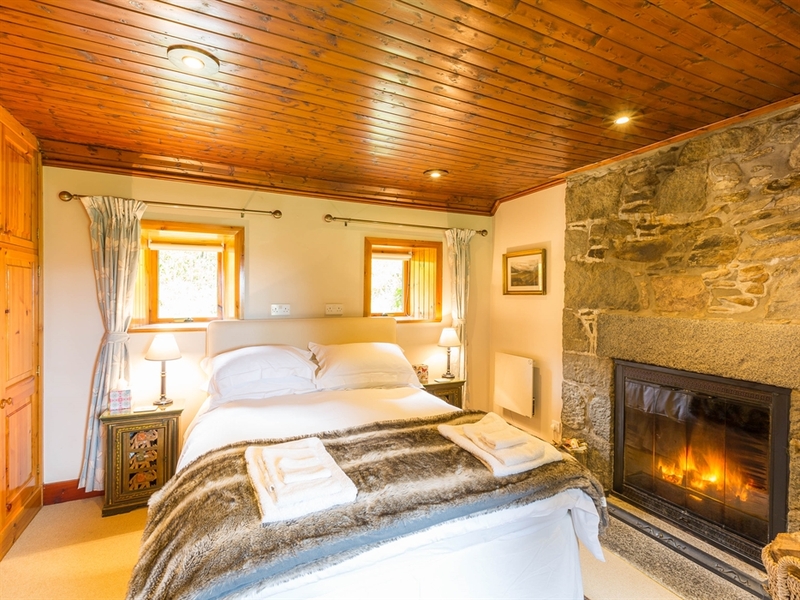 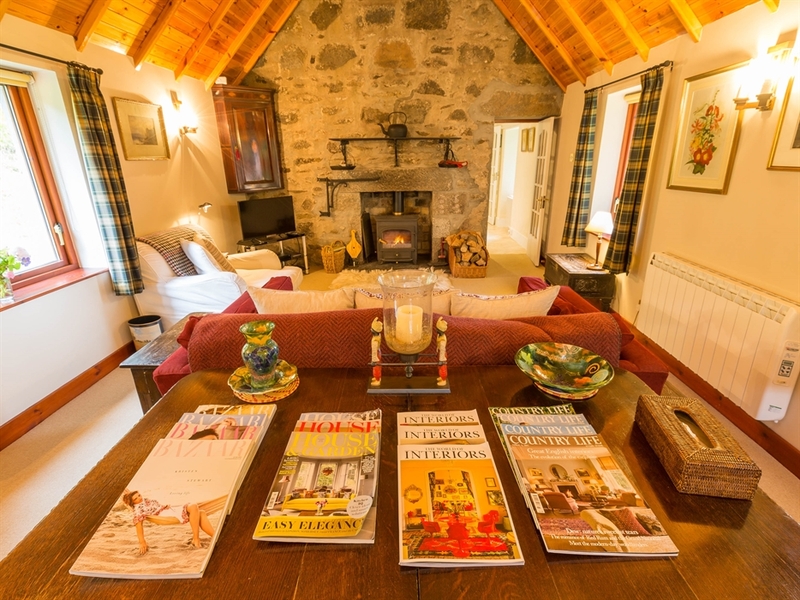 Mar Lodge is a charming, secluded cottage, hidden away in the 300 acre Knockespoch Estate with superb uninterrupted views over the Aberdeenshire countryside to the prominent peak of the Tap o' Noth, site of the second highest hill fort in Scotland. 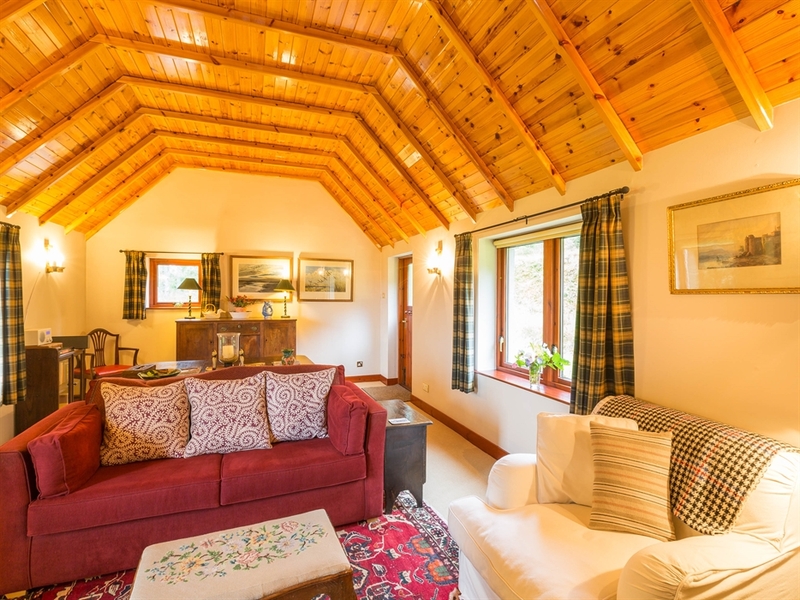 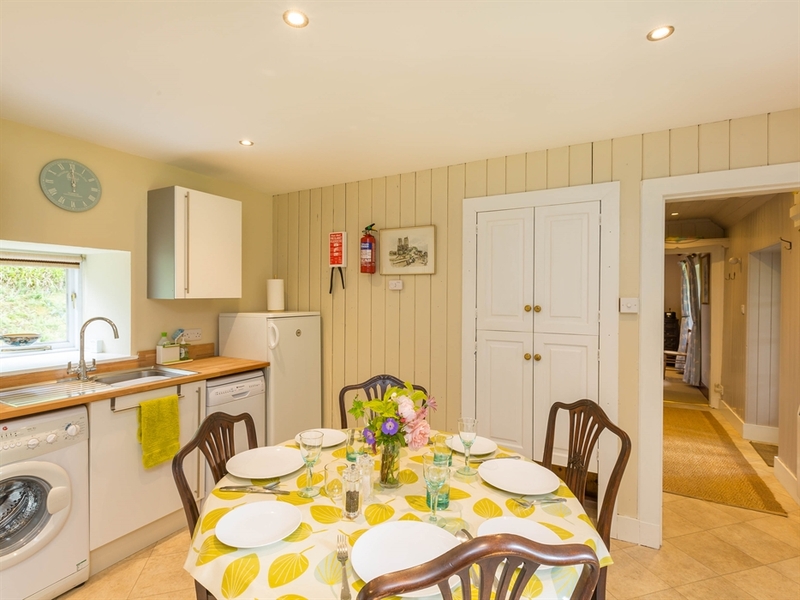 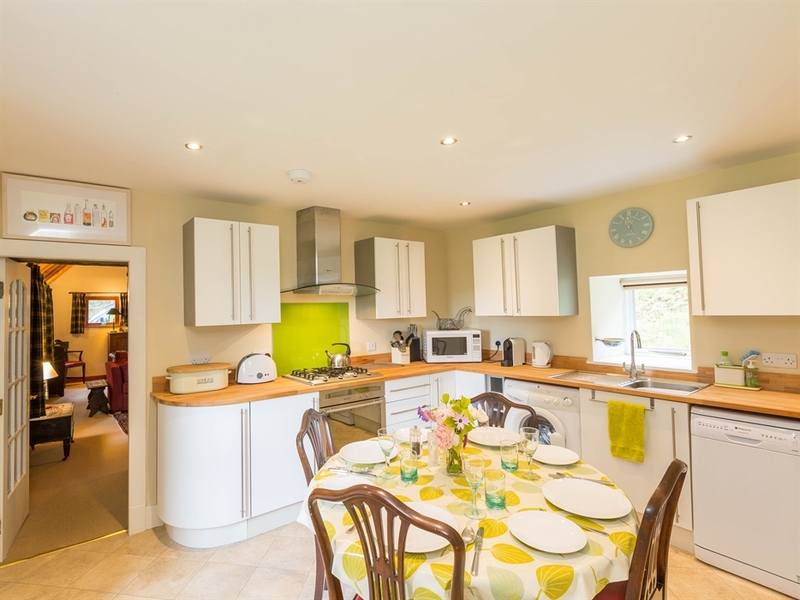 The cottage has been renovated from a traditional Victorian dwelling to provide wonderfully spacious holiday accommodation, which is both comfortable and stylish. 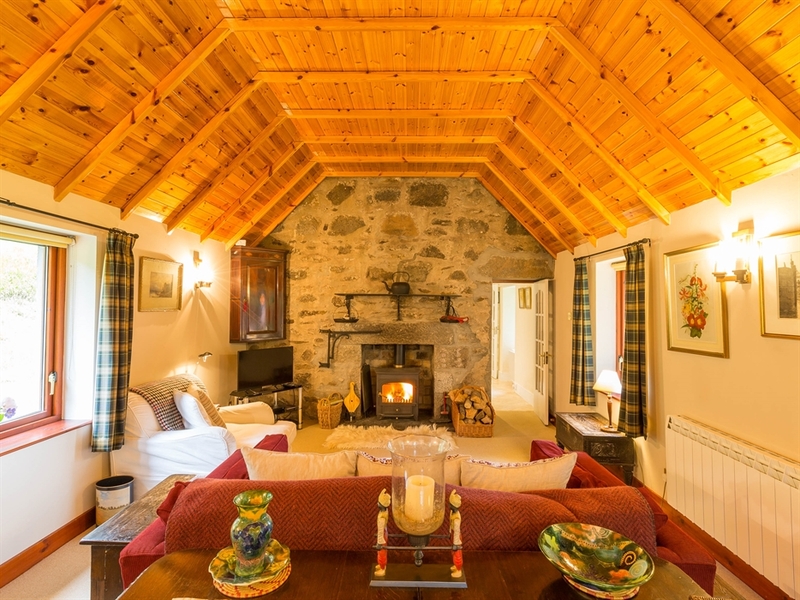 The living room, with its high ceiling, is a spectacular and bright room and yet with its wood burning stove, comfy sofas and delightful furnishings, is a cosy setting to enjoy a relaxing evening. 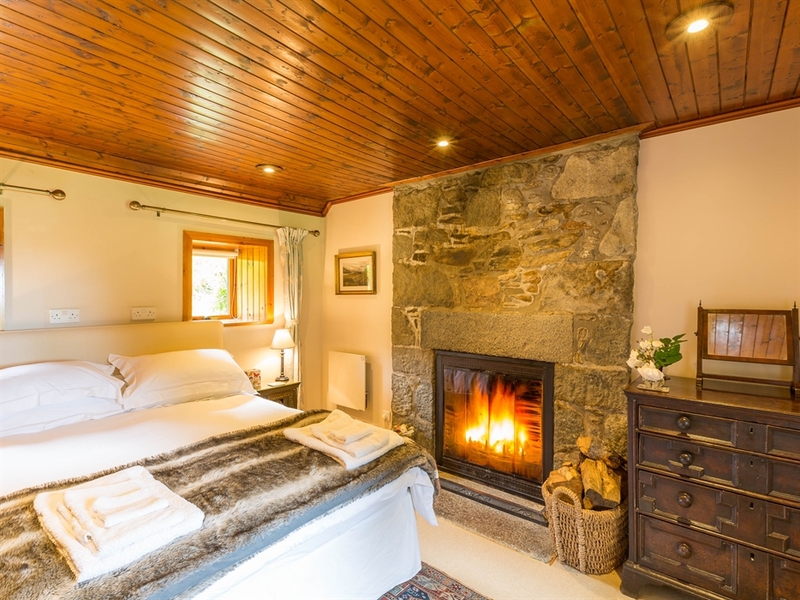 The kitchen is fully equipped and ideal for informal dining while enjoying the views, whilst the bedroom with its king sized bed and open fire is truly a haven for a peaceful night's sleep. 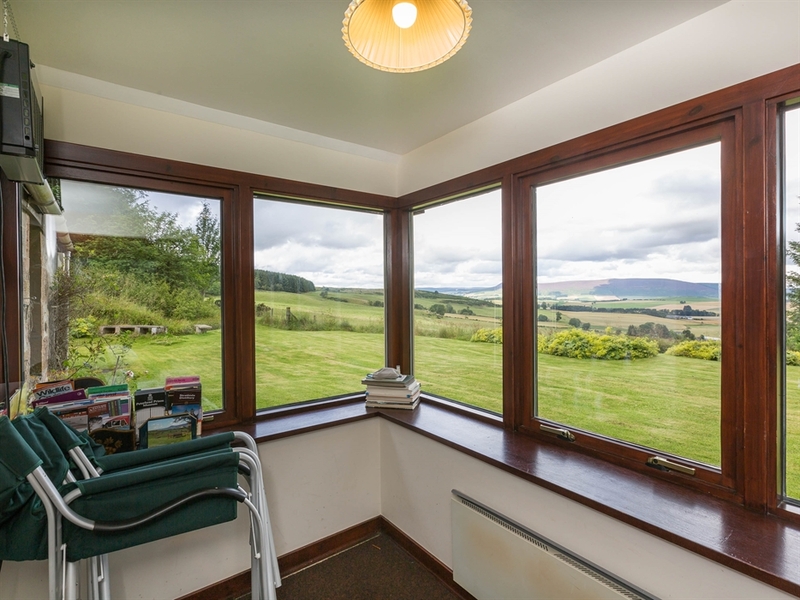 The sun porch enables guests to enjoy the views on chillier days and also to spot the extensive wildlife, which includes many varieties of bird, red squirrels and both roe and red deer. 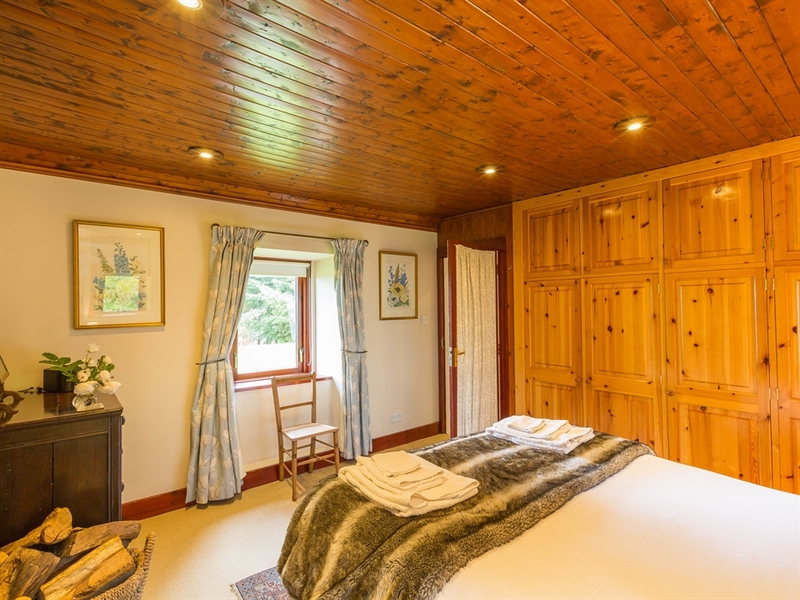 Outside the cottage there is only peaceful seclusion, bird song and the rustle of leaves in the trees; guests can choose to wander the lovely walks within the estate or venture further afield. 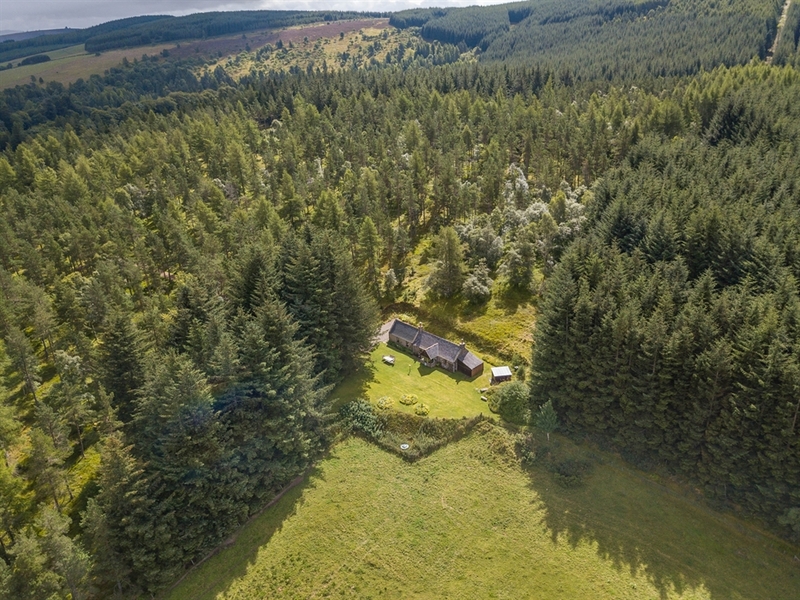 This area of Aberdeenshire is steeped in history, with Pictish standing stones, one of which is at the front door of the mansion nearby, and the castle trail which includes 17 of Aberdeenshire’s famous castles; there are also battlefields, ruins and ancient monuments to be explored. 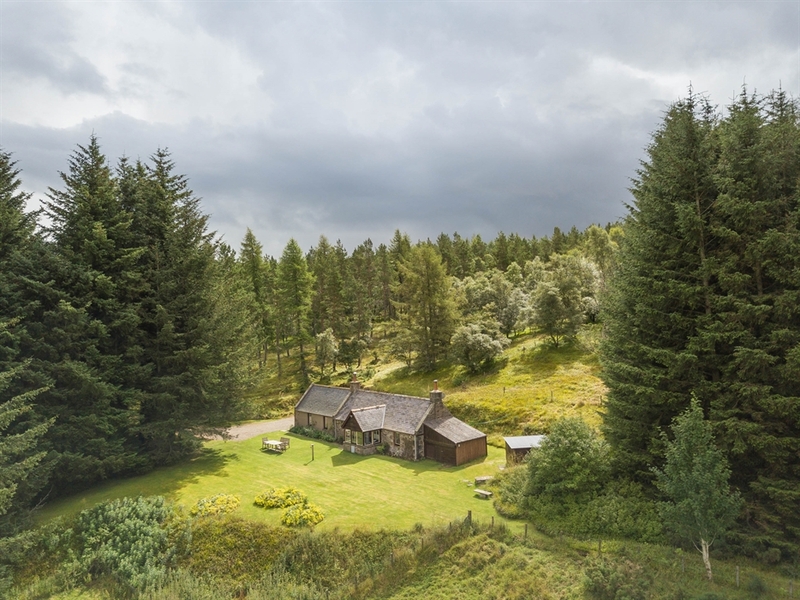 The Lecht ski centre is less than 45 minutes drive and offers 18 pisted runs in winter and fun and fast downhill mountain biking in summer. 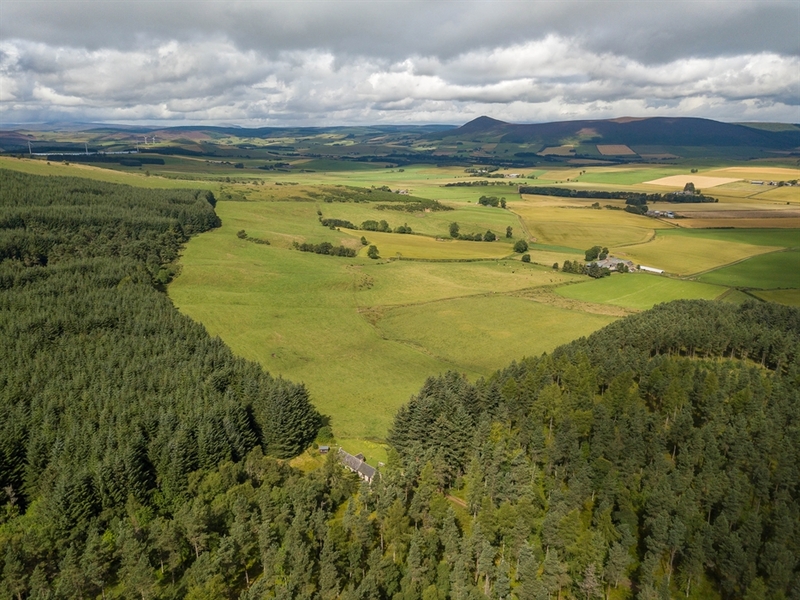 However, for those wishing to take it a little easier there is plenty of opportunity for the fisherman to enjoy a peaceful cast or golfers to tee off; alternatively, perhaps a trip to the distilleries of Speyside to do a spot of whisky tasting. 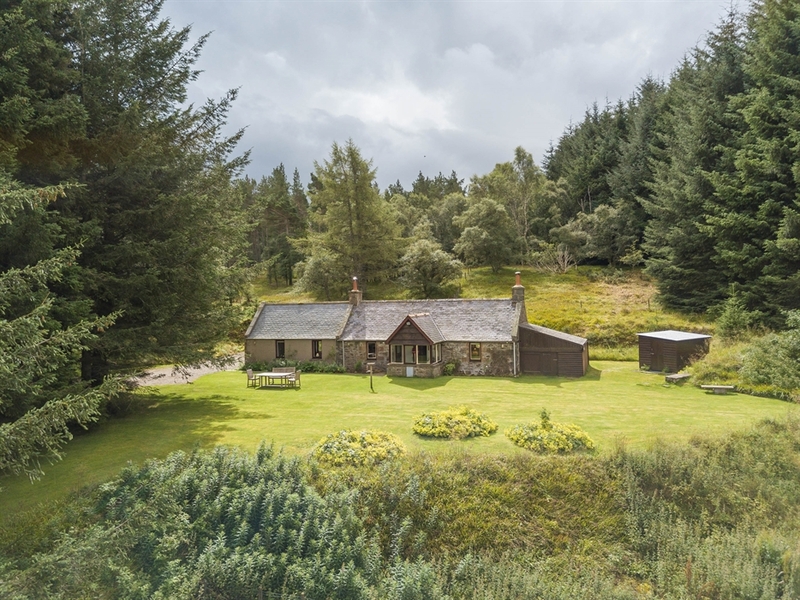 Whether it's walking, biking, touring or merely sitting and taking in the view, it can all be enjoyed in one of the prettiest areas of Scotland. 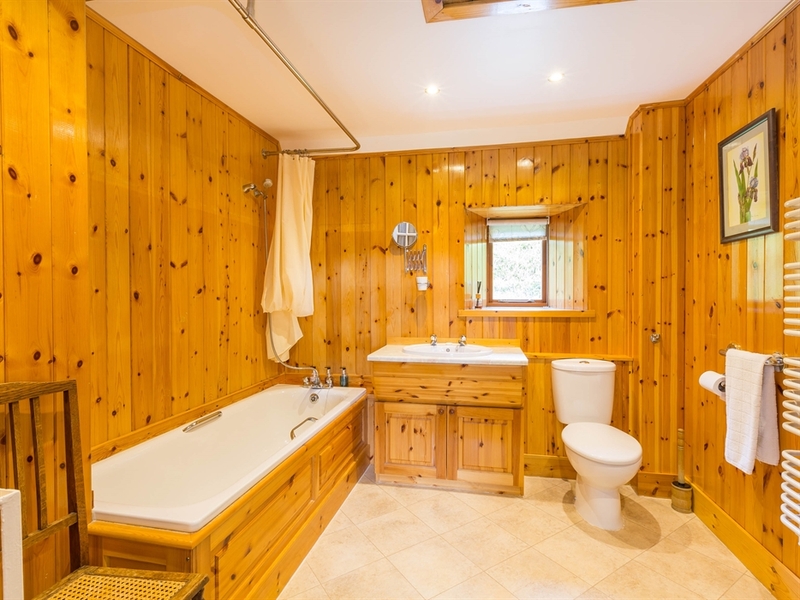 Sun porch, hall, large sitting room with double height ceiling and wood burning stove, bedroom with king size bed and open fire, kitchen/diner, bathroom with shower attachment over bath, WC and WHB. 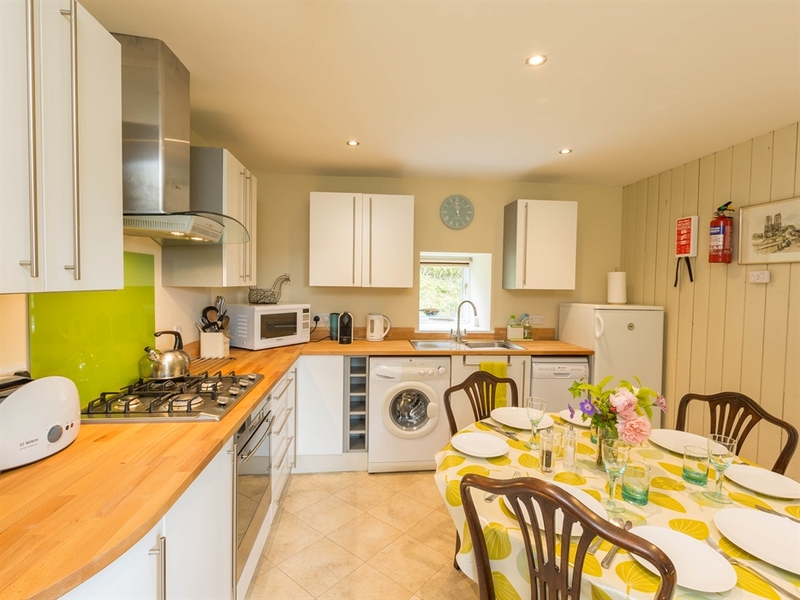 Storage space for bikes, fishing & sports gear. 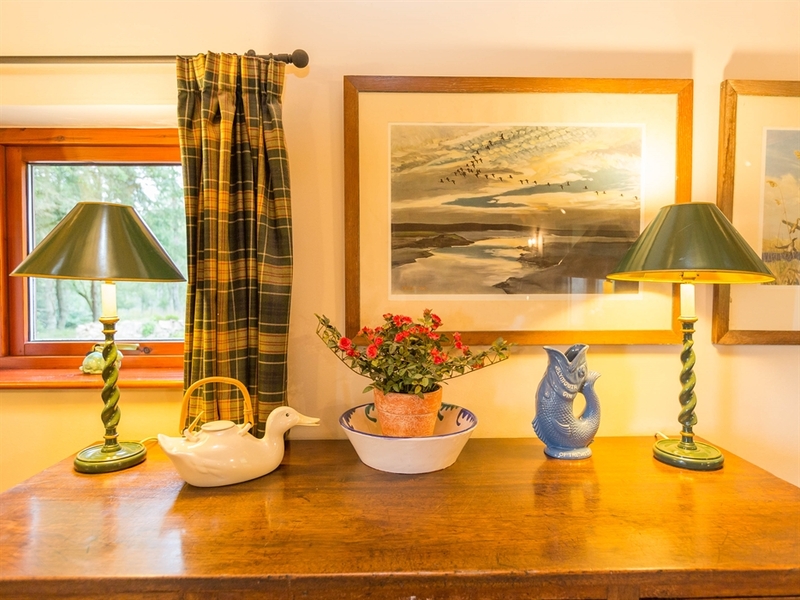 Drying area. 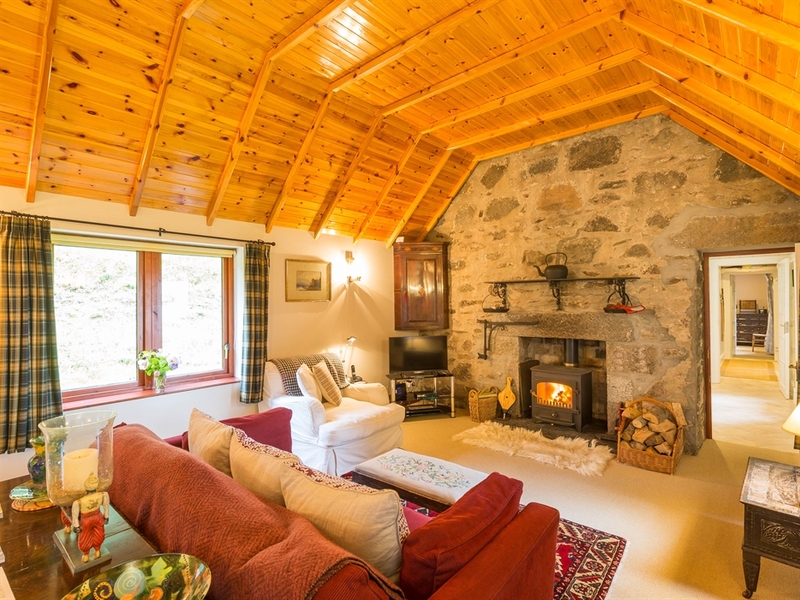 Short breaks available all year round: Friday - Monday or Monday to Friday. 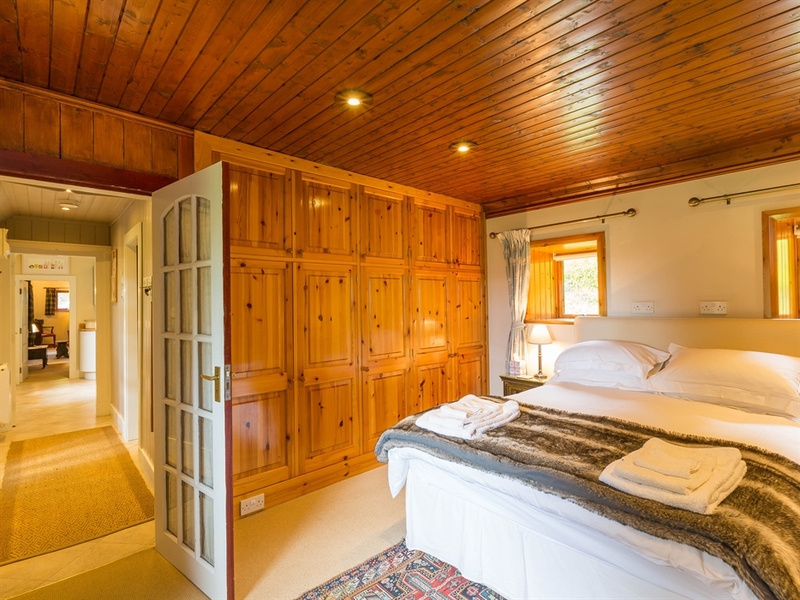 Last minute bookings welcome - please call our sales team to book 01738 451 610.